Our 40 Knee-dy Days of Summer nears its end. That’s right, only 8 more days until we are at our target date. September 3 will be upon us in a blink of an eye. Yes, we believe the time is now. Yes, we believe the Lord is calling Au & Eunice to labor in the harvest fields of Asia. Yes, we want to be part of God’s Plan for the Nations by sending Au and Eunice! Please pray with us, daily for these next 8 days, for more laborers! 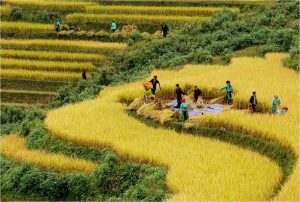 The harvest is plentiful but the laborers are few. We are asking the Lord of the harvest to send us out as laborers into His harvest fields. We are ready and willing. We are at 90% and need to be at 100% by September 3. Can we take a moment to remind you of what you already know? 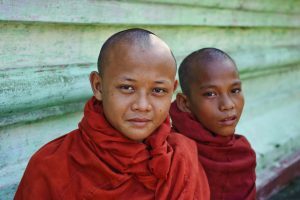 Boys learning Buddhism in Myanmar. Those without Christ have no hope for today and no bright hope for tomorrow. Many Asians don’t know any Christians. Looking at just East Asia, about 638 million people (almost twice the US population) are considered unreached – they have no local faith community worshipping the one true God in their heart language. How will they meet Christ? The Answer: Some one must go and tell them. Who will go? We are ready and willing to answer the call to Asia with OMF. Pray for faithful partners so Au & Eunice reach 100% by September 3. God’s plan for the nations is that all peoples would have an opportunity to know the love of Jesus and the forgiveness offered in Christ. When people experience our Lord’s abundance grace they will praise His name. 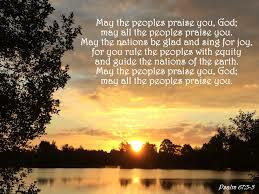 His Plan for the Nations is that all people would praise Him. But how can they believe unless they are told? And how can they be told unless people are sent? If you’ve been thinking about partnering with us, NOW is the time to do so. We won’t be able to head to Asia in 2018 without the people of God partnering with us prayerfully and financially.